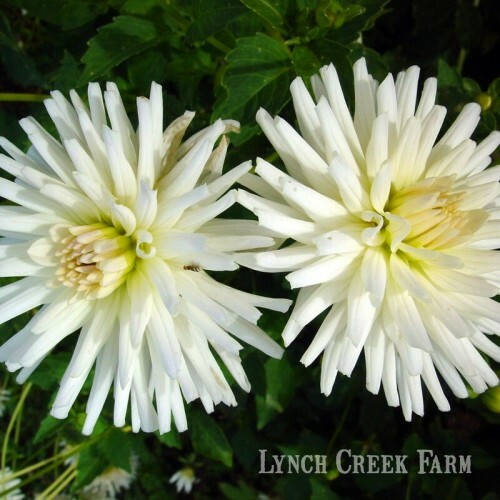 Before we start with this part of the American Dahlia Society's size classification, it's important to note that not all dahlias currently registered with the ADS are included in size classification. The size classification Miniature includes only those varieties that occur in the larger sizes as well. 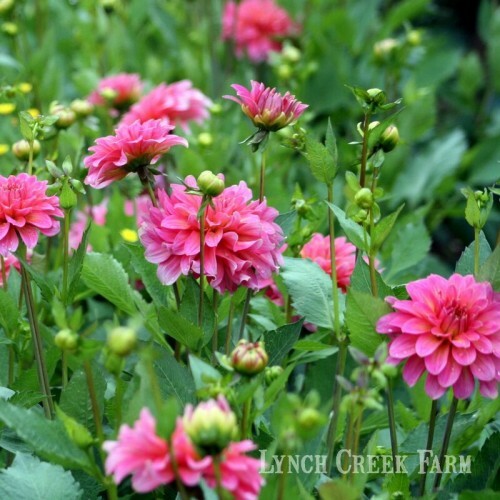 It's helpful to have this information when you buy dahlias or plan your dahlia garden. Dahlias of the types which don't have examples in the larger size (AA to BB) classifications have classifications of their own, which incorporate both type and size. And waterlily dahlias, which were originally included in the B and then BB size classifications, have been developed in so many varieties that they now have their own classification as well. This has not always been the case. Originally, the American Dahlia Society included all forms of dahlia flowers whose diameter measured less than 4 inches (10 centimeters) as miniatures. But as the number of varieties increased, it became necessary to create some additional categories. Out went the waterlilies, the ball dahlias, pompons, singles, peonies, orchids, collarettes, and anemones, each to become its own category. We'll get to those in a later blog. For now, like the other size categories, miniature dahlias include the smallest varieties of formal decorative, informal decorative, semi-cactus, straight and incurved cactus, and laciniated dahlias. As of 2008, the ADS list of miniature dahlias numbers 992. 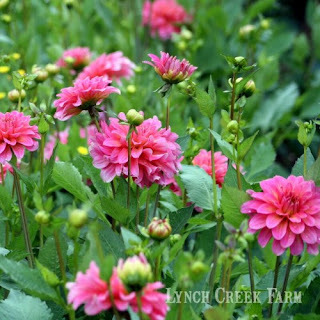 Lynch Creek Farm features a host of miniature dahlia tubers (some of them on sale!) which are often overlooked in the excitement of the dinner-plate sizes. But miniatures, in general, are excellent choices for perennial gardens and borders. Flower arrangers love the miniature dahlias for their strong stems, their convenient size and of course their incredible range of colors, a characteristic they share with their larger cousins. Gardeners adore them. 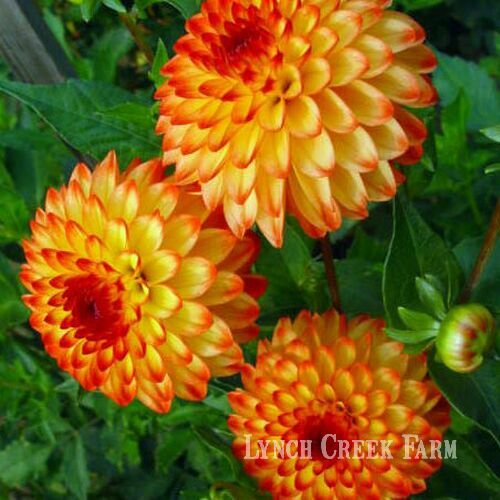 The miniature dahlia plants themselves are smaller than those in the AA-BB classes in many cases, most ranging from 3 to 3 1/2 feet and some of them under 3 feet tall. Many of them have beautiful foliage. The miniatures are more resistant to wind and don't suffer as much damage from rain as their larger counterparts because the blossoms don't hold as much water. And they are often profuse bloomers, so they make a magnificent impact in the garden. 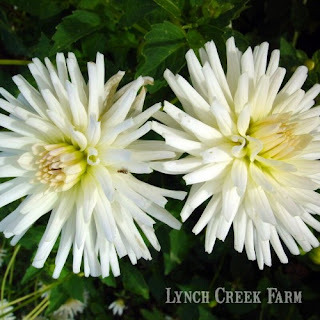 There may be miniature dahlia bulbs (tubers) on the Lynch Creek Farm site calling your name right now. I think we could call that a Magnificent Obsession! Do keep us posted on how your dahlia garden's growing — we'd be delighted to have you send us photos so we can share people's successes and their dahlia-growing tips.